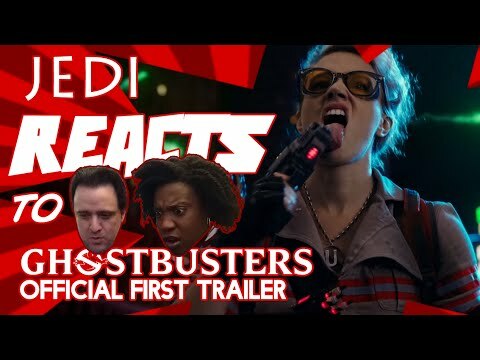 I show Miranda the new “Ghostbusters” trailer without context. I’m pretty sure I told her about the new cast, but I’m also positive she didn’t listen to me. So this is her 100% cold viewing of the trailer with no knowledge of movie beforehand. For me, this and “The Legend of Tarzan” are the two biggest surprises of 2016.